Quick Freight Management Pakistan is formed by a team of well experienced professionals from the logistics industry in the Asia Pacific. Q.F.M. Pakistan prides in providing personalized freight services that guarantee extra diligence to transport your goods and comply with all aviation and safety regulations. Our extensive knowledge of customs regulations and international import/export restrictions help us provide "out-of-the-box" solutions. We will always identify the right solution to transport your consignments to any part of the world, no matter how remote it is. Guaranteed, Q.F.M. 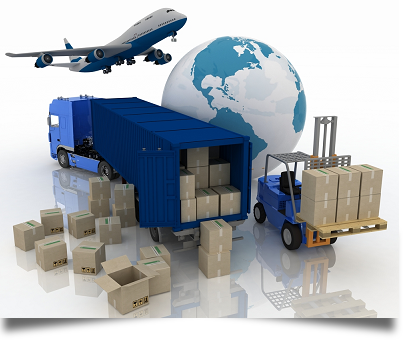 Pakistan selects the best services for your freight. We focus on providing maximum transparency, cargo control and flexibility for the whole operation so that you may alter any arrangements to suit your needs. With our dedicated teams working endlessly to provide the most cost effective and optimum solutions to our customers, we are now an integral part of their supply chain process. Our on time, zero defects handling of the logistics of mobile phones including high value computers and cameras have already earned us a name of ‘Captain’ in the industry. The encouragement we received for our services and commitment from our customers has motivated us to explore new ways to serve them with our focus on research and development. Our growth is organically driven by the requirements of our customers.